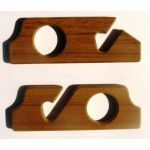 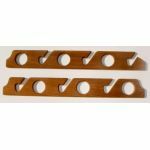 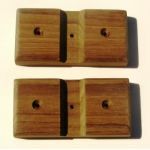 Minimum quantity for "Teak Rod Rack Mounting Bases -- Whitecap - AFI - 60609" is 2. 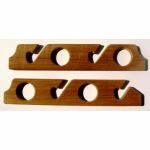 Four-Rod Lock-In Storage Rack - Item 60620 -- Dimensions: 24" Long x 3-5/8" High x 1-3/16" Wide. 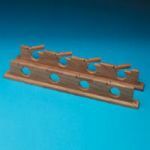 No additional mounting blocks required.